Maarten Botterman, Director of GNKS Consult BV, elected as the Chairman of the PIR Board of Directors.ORG, The Public Interest Registry (PIR), today announced that Maarten Botterman has been elected as the Chairman of the PIR Board of Directors. 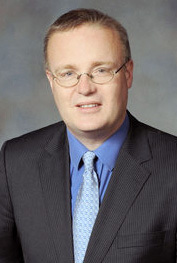 Maarten succeeds Barbara Fraser, who has held the position since 2007. Maarten Botterman is Director of GNKS Consult BV. GNKS stands for understanding the impact of the emerging Global Networked Knowledge Society. Mr. Botterman is an expert in Information Society policy issues with more than 15 years of international experience, with emphasis on the impact of technology on society and governance issues, and global information security and privacy issues. He is currently also a member of the Permanent Stakeholders Group of the European Network and Information Security Agency (ENISA). "It's been a pleasure to serve on the PIR Board for over two years, and it is an honor to be elected as Chairman by my colleagues," said Mr. Botterman. "With them, I look forward to supporting PIR in the coming years as we continue our mission in serving the public interest, and I am prepared to do what it takes to help build bridges with others on this journey towards an open, trusted and secure Internet." "I am delighted to have Maarten as the new Chairman," said Alexa Raad, CEO of PIR. "I appreciate his ability to bring people together, coupled with his extensive global Internet policy experience, all of which will benefit not only PIR but the interests of the Internet community as well." Local Time: Thursday, April 18, 2019 11:29 PM PDT – Page Load: 0.4252 Sec.